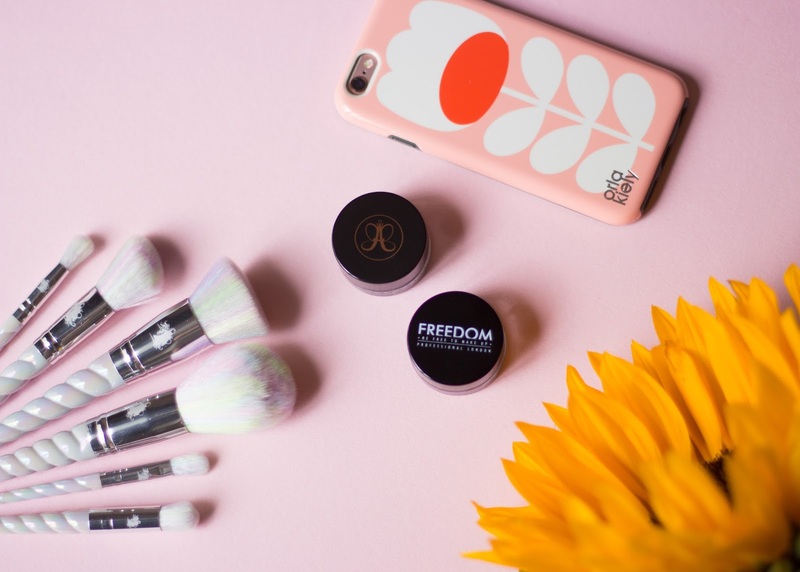 A number of companies sell products that are dupes of the Dipbrow but one that I constantly found people were suggesting to others, is the Freedom Eyebrow Pomade. I was seeing people talk about this around the time when I was well on the way to running out of my precious ABH, so I thought I'd pop into my local Superdrug and buy some to test out. So, lets start with the price of each. Anastasia Beverly Hills retails at around £15 and isn't available in drugstores in the UK, therefore whenever you want it or are nearly out, you have to order it online on sites such as Beauty Bay. 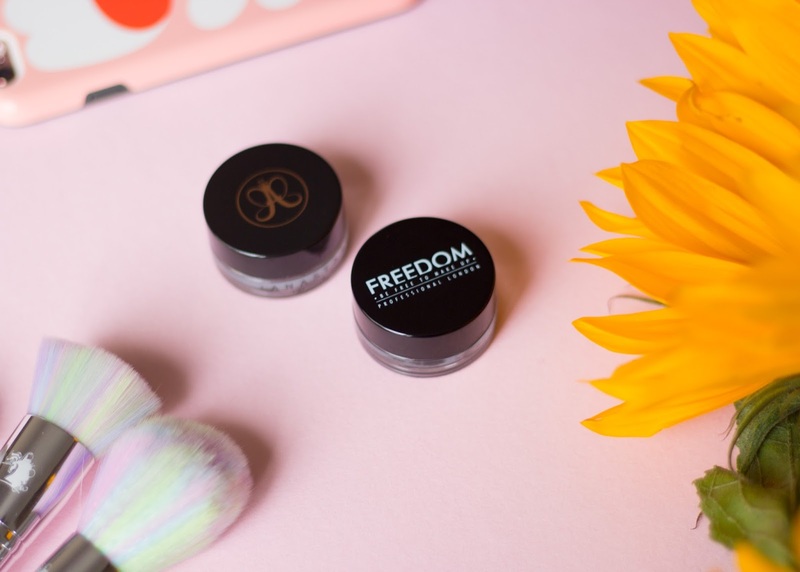 Freedom Eyebrow Pomade costs £5 and is sold in Superdrug stores that stock Freedom Cosmetics. When it comes to availability I would definitely say Freedom has an advantage. But is the £10 difference in price worth it? 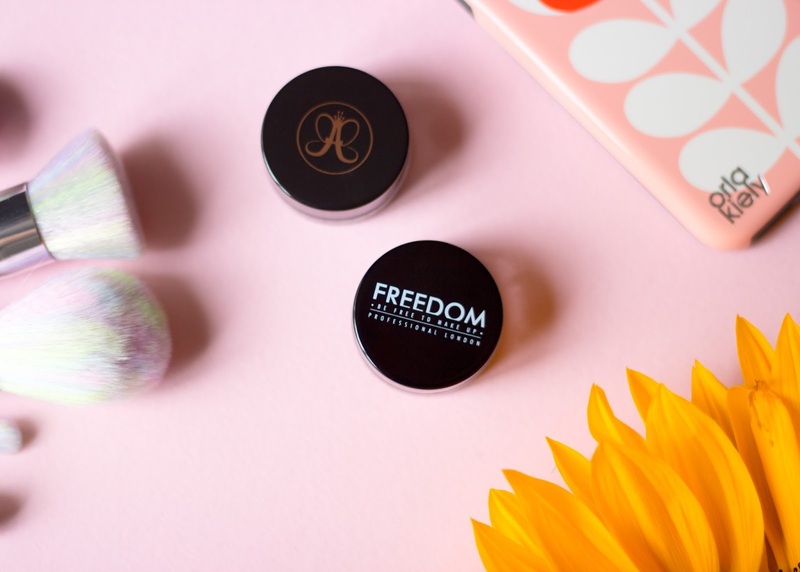 The thing I immediately noticed when first using the Freedom Pomade is the difference in consistency, the ABH always had a creamy texture but I found the Freedom Pomade to seem a little more dry. Sometimes, in colder climates, I have noticed the Anastasia one to also be a bit dry, but this can be easily corrected by warming it up! (I actually either warm it with a hairdryer or put it in my pocket while I apply the rest of my make up) I thought this same technique may have worked with the Freedom product, however it didn't. Now on to application. Anastasia's creamier consistency made it easy to apply, if I wanted to apply more product to my brow I just applied a little more pressure with my brush. For the inner part of my brow, which I always do lighter, I add no more product and use the brush as it is. 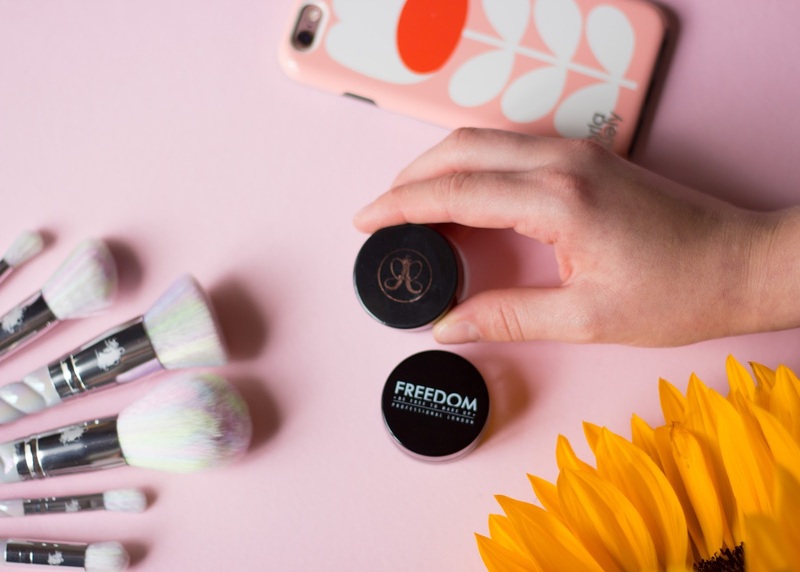 When using the Freedom product I found it to be easy to work with when there was minimal product on the brush, however, if you wanted to apply more pressure to the brush to add more product, it becomes very clumpy. So when you start to draw your eyebrow, the product applies uneven. Then, after that, it is very hard to work with and even out. 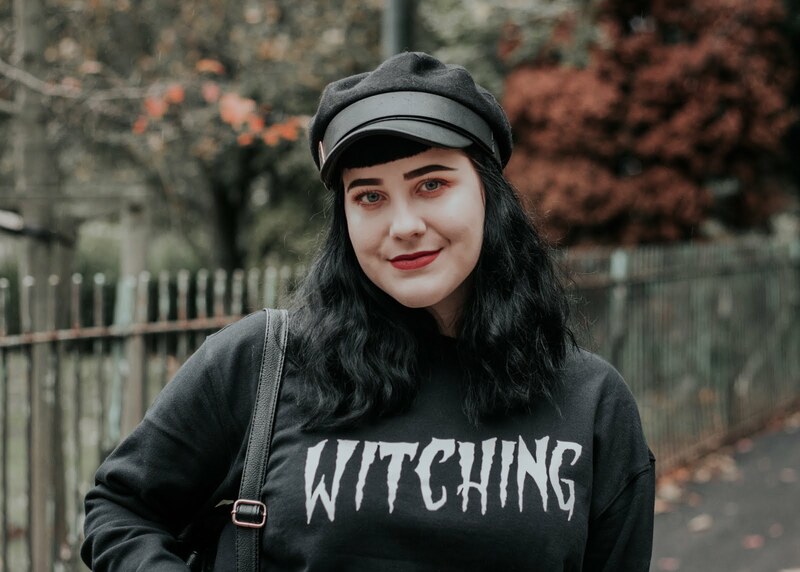 Despite these downfalls for the Freedom Eyebrow Pomade, I have managed to achieve eyebrows to the standard that I normally create (I am certainly no make up expert) but it takes a lot more effort to do so. 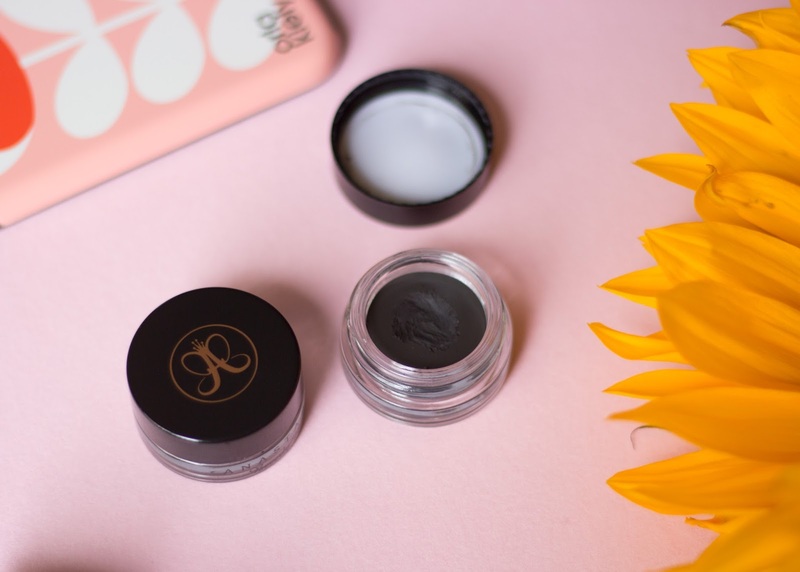 If you can't afford the real thing, then sure go for this dupe, but it takes a lot more work when applying on the eyebrow. For someone like me who doesn't like to fuss too much over eyebrows, I would definitely go for the real thing.